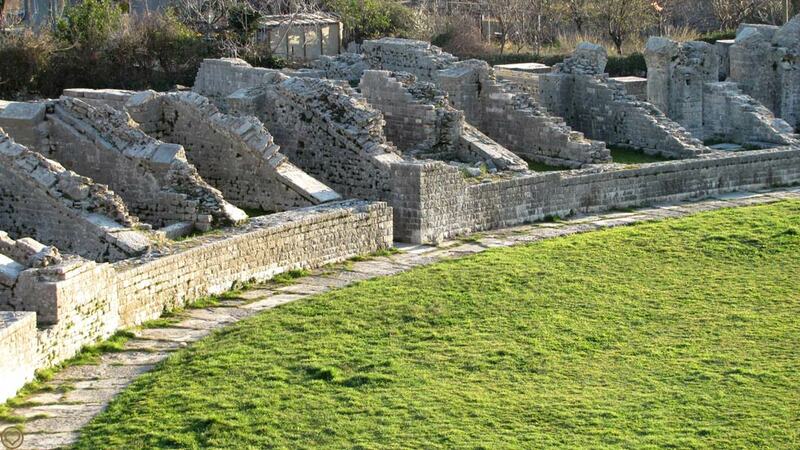 Salona an ancient city and the capital of the Roman province of Dalmatia. 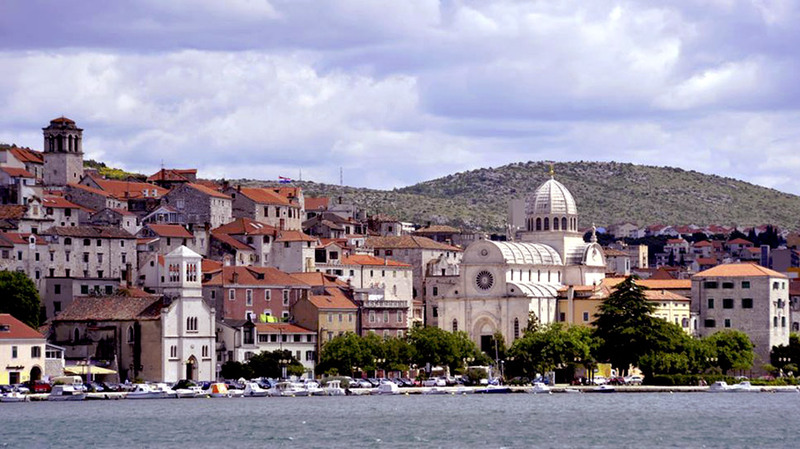 Ancient city and the capital of the Roman province of Dalmatia. 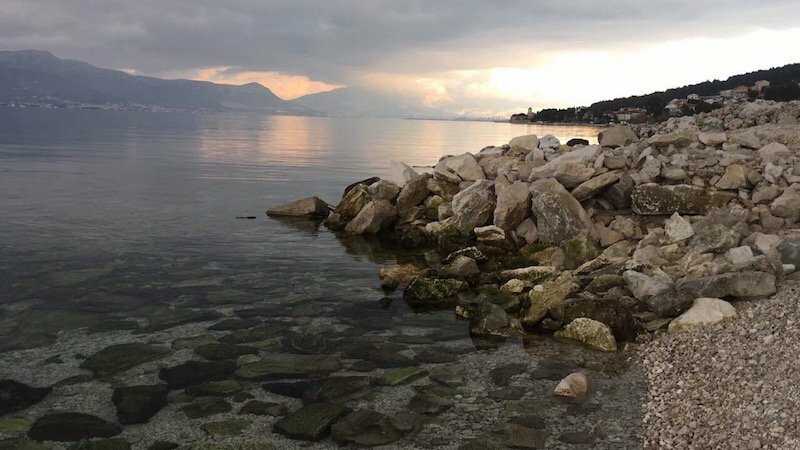 Name Salona preserves the language of the early inhabitants of this area . 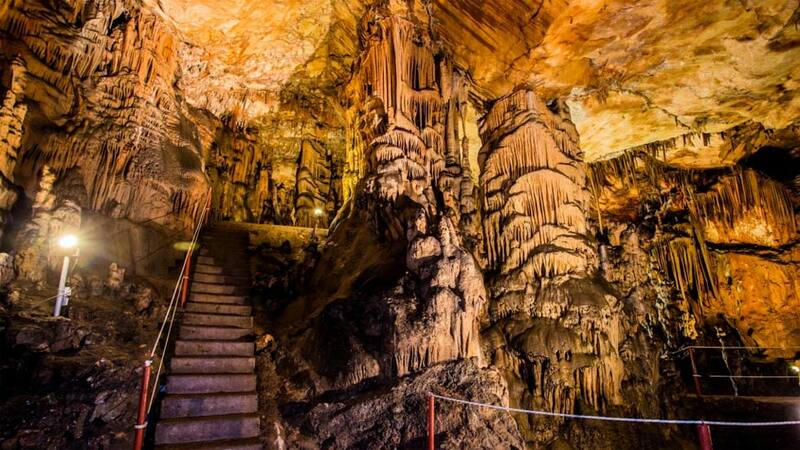 The Romans called Dalmatae, and considered to be part of a larger group – Illyrians. 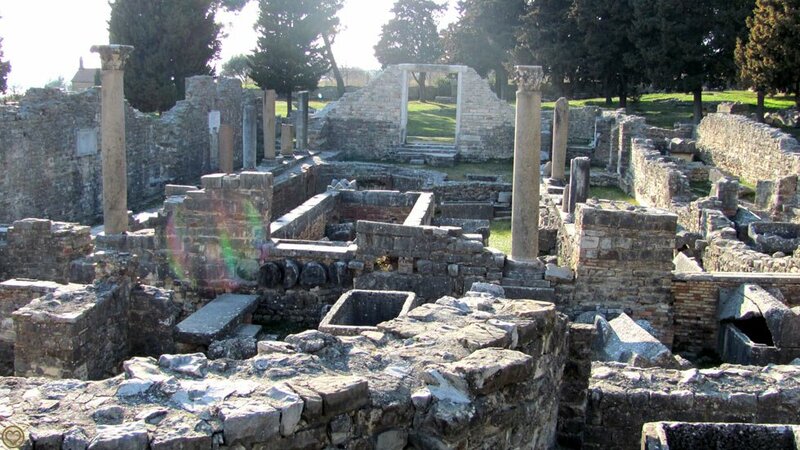 Salona is situated near town of Solin, right next to the Split. 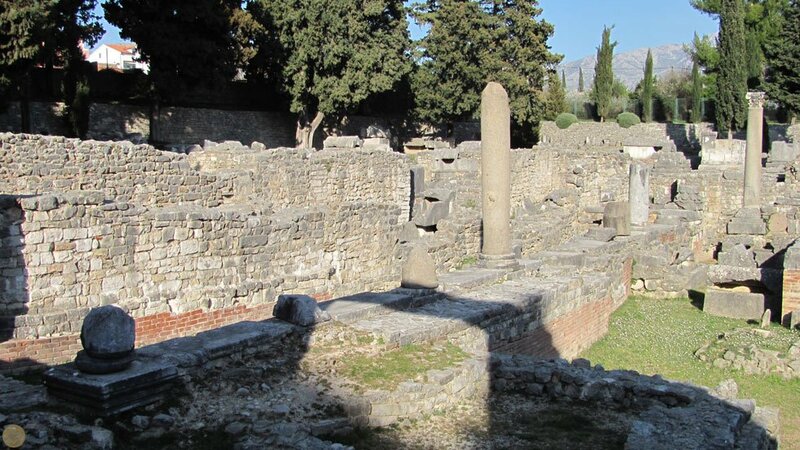 The Illyrian core of the city has been discovered recently. 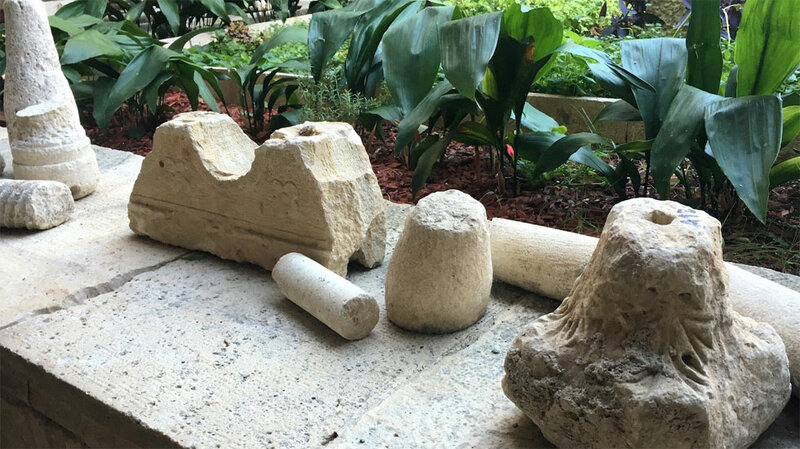 A segment of the city walls with a monumental gate (Porta Caesarea) and towers has been preserved from the first Roman phase. The city quickly spread to the East and West and in the IInd century was enclosed with new walls. 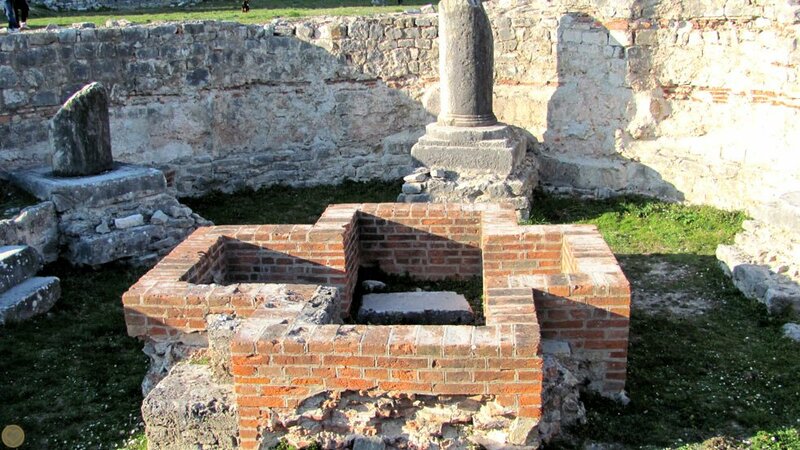 Salona is a perfect example of how much Croatia’s history remains easily accessible to the public, in its original location, instead of placed in a museum. 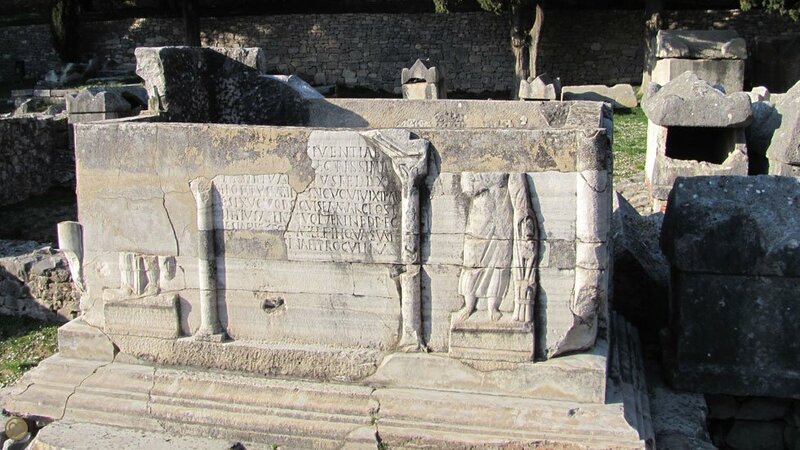 The capital of the Roman province of Dalmatia was Salona, now known Solin, a suburb of Split. 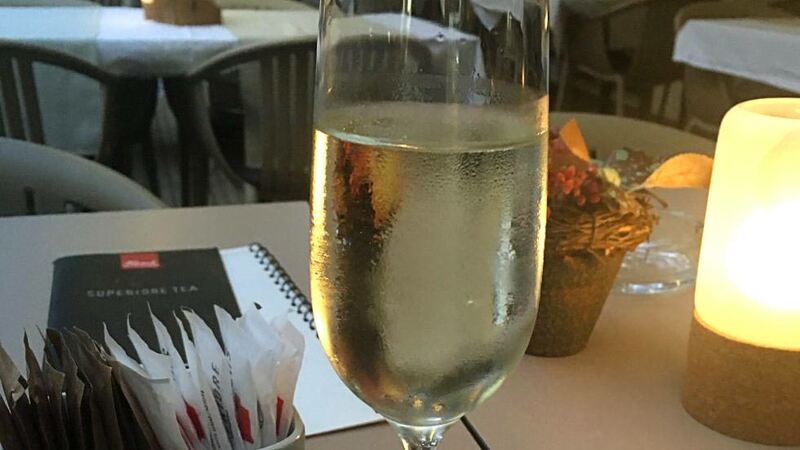 For a long time, it enjoyed economic prosperity. 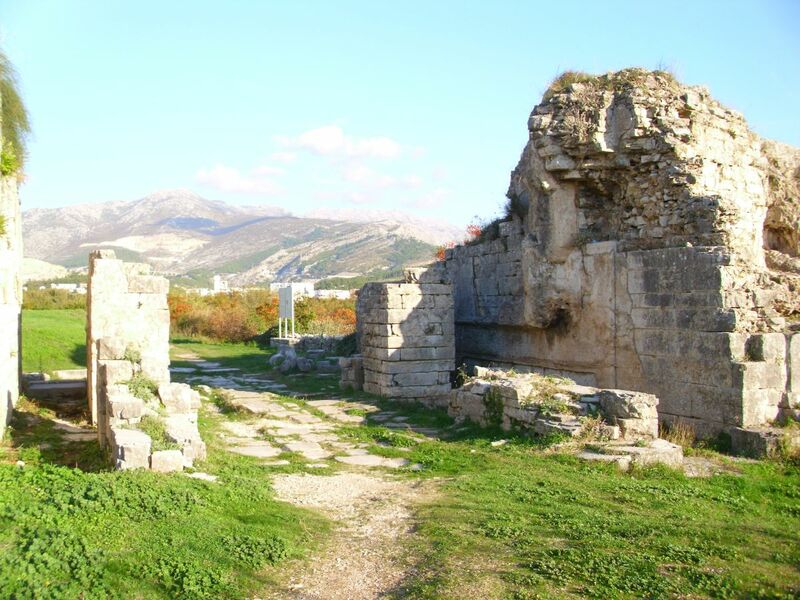 However, it was one of the many Roman cities conquered by outside invaders (The Avars and the Slavs, in the 7th century). 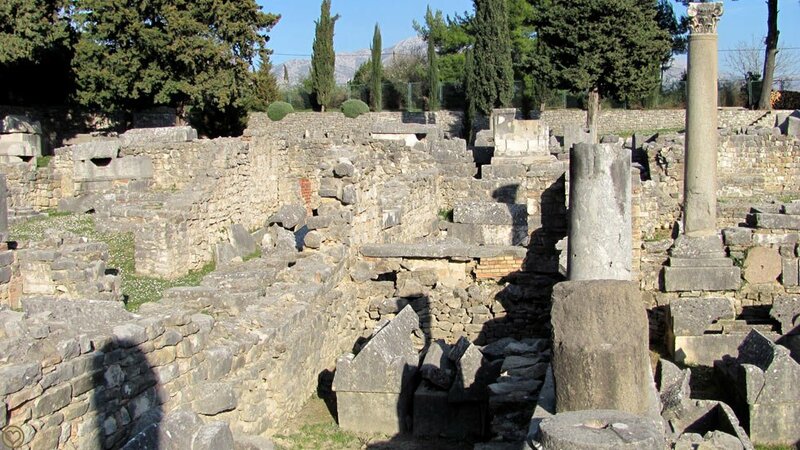 The residents of Solin fled to nearby Diocletian’s palace, which had actually been abandoned for a few centuries. 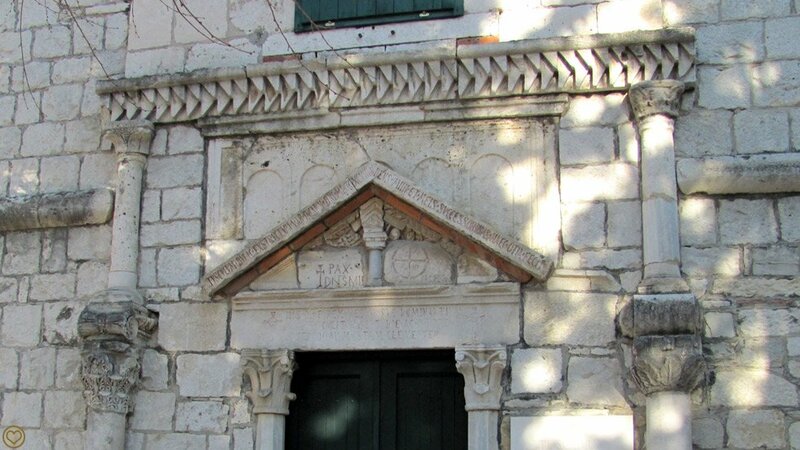 They also fled to other cities including Trogir, and the nearby islands, never to return. The Forum was located in the centre of the city near the sea. 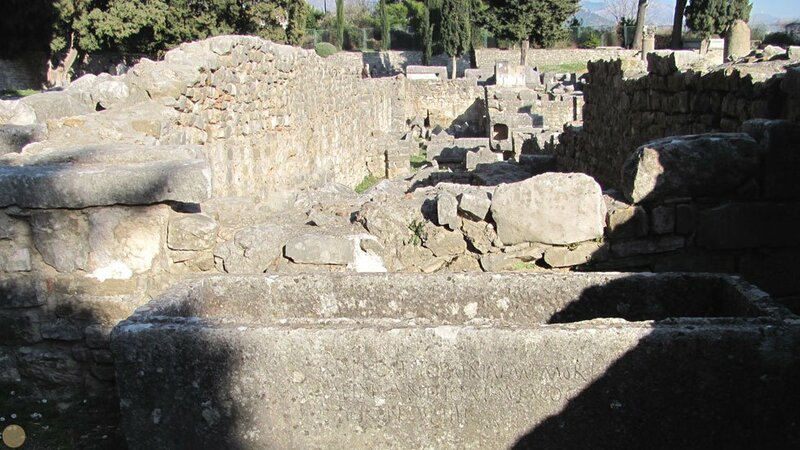 In the Ist century a theatre and baths were built next to it. 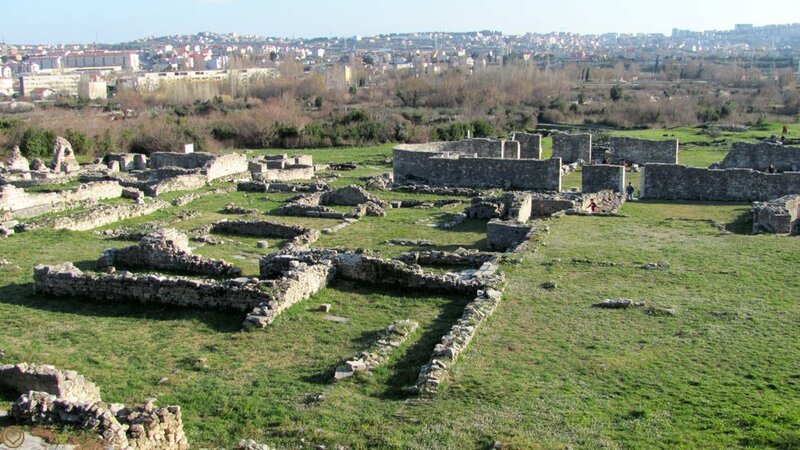 A much better preserved complex of baths was found to the East of the later bishop’s basilica in the eastern part of the city. 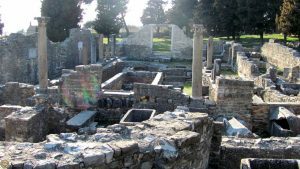 Here we also find the sumptuous Villa Urbana known for its mosaics with depictions of Apollo Orpheus Triton (now kept in the Split Archaeological Museum). 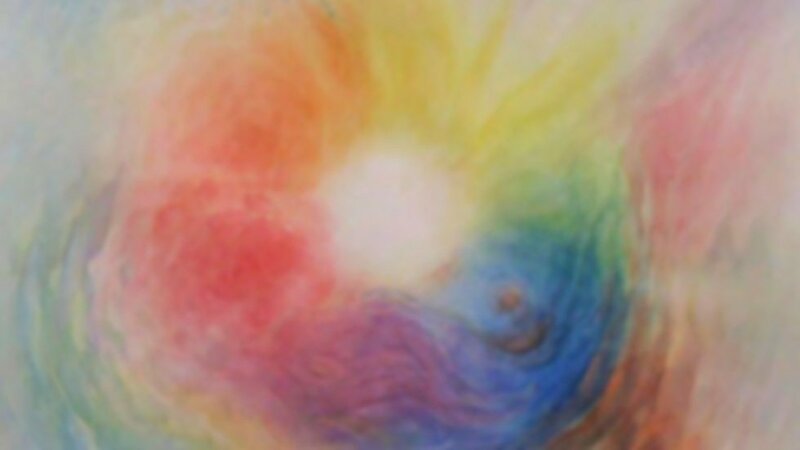 Within the fortification system in the north-western corner of the city an amphitheatre was raised in the IInd century. The great city necropolis containing some of the most famous sarchophagi.